Get the lush look of water lilies without all the fuss. 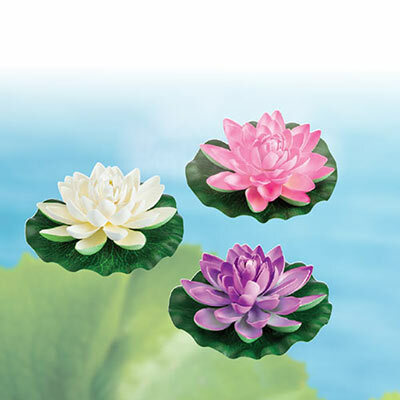 Each realistic, textured lily pad features one brilliantly hued polyester bloom and a hook on the bottom for easy anchoring (line and weight not included). Imported. 7" dia. Hurry! Quantities are limited!